Sunflower, pecan and cardamon muffins, heart healthy, gluten free and yummy. 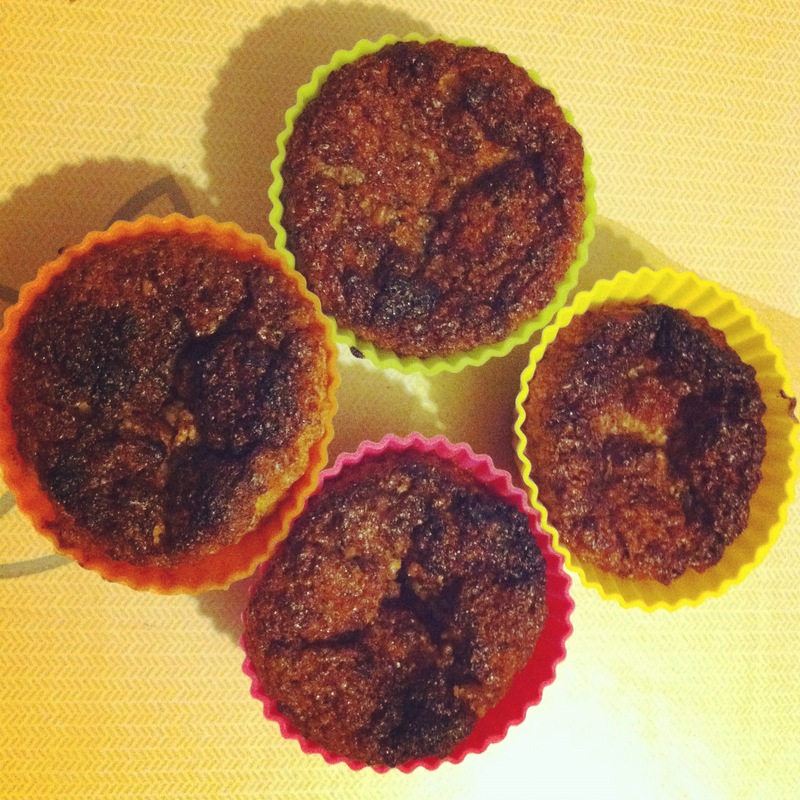 This is an adapted recipe from Green Kitchen Stories, it looked so yummy I had to try it. Plus they are Gluten Free and Wheat Free. Sunflower seeds are a good source of Vitamin E, Magnesium and Selenium as well as having phytosterols that can help lower cholesterol. Vitamin E is an antioxidant so it stops the effects of free radicals and can protect against disease like cancer; it is also an anti-inflammatory, helping in diseases like rheumatoid arthritis and asthma. Magnesium is an all round important nutrient being used in a number of body systems, it keeps the nerves relaxed so they can send signals properly, aids in energy production and can help lower blood pressure. Selenium is also an antioxidant that plays a role in repairing damaged DNA and preventing cancer cell growth. Pecans are also a great source of Vitamin E and have been linked to protecting against Alzheimers, cancer and heart disease. The plant sterols in the nuts can help lower cholesterol and they contain the heart healthy mono-unsaturated fat. 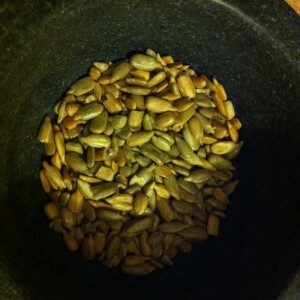 90g sunflower seeds toasted in the oven for 8 minutes. 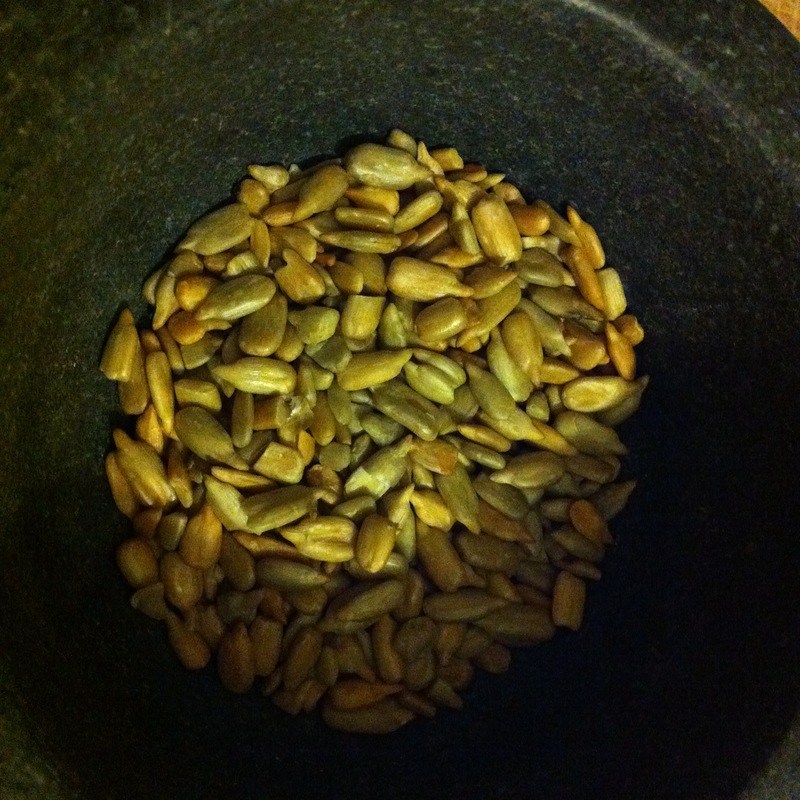 Grind the nuts and seeds in a pestle and mortar, I did mine in 3 batches. Melt the margarine and honey (I used the microwave) and then add the vanilla extract and cardamon, leave to cool. Whisk the egg whites for about a minute until foamy (not stiff). Mix the dried ingredients and wet mix together. Gently fold in the egg whites. Dollop into 12 muffin cases (fill until near the top) and bake at Gas Mark 3 for 15-20 minutes, they will firm up a little more when cool. Nutritional Info: Per muffin 119 kcals, 8.8g fat (1.1g saturates 3.8 monounsaturates, 3.4 polyunsaturates), 7.0g carbohydrate, 3.3g protein.